IKEA Canada is aware of a fraudulent on-line survey that is prompting people to provide credit card information to collect IKEA gift cards. Please note that this is a false promotion and has nothing to do with IKEA. We are advising our customers not to participate in the survey and to not provide any personal information. IKEA Canada urges customers who have bought a MYSINGSÖ beach chair before February 2017 to bring it back to any IKEA store for a full refund. IKEA Canada has initiated a recall of the MYSINGSÖ beach chairs. After washing the fabric seat it is possible to re-assemble the chair incorrectly which could lead to falls or finger entrapments. IKEA has received five incident reports in which MYSINGSÖ beach chair collapsed during use due to incorrect re-assembly. There have been no reports of injuries in Canada. At IKEA, the safety and security of everyone who comes into contact with our products is of the utmost importance. All of our products comply with international and national legislation as well as relevant standards. MYSINGSÖ beach chair has gone through relevant mechanical, fabric and chemical tests with approved results. Upon receiving the reports a full investigation was initiated. This led to an improved design to further mitigate the incidents of incorrect re-assembly and injuries. The updated chair is planned to be available in IKEA stores from February 2017. Customers should return their MYSINGSÖ beach chair at the Returns & Exchange department at their local IKEA store or call IKEA Customer Service toll-free, 1-800-661-9807 for a full refund. Proof of purchase (receipt) is not required by IKEA for this recall. IKEA Canada urges customers who have a SNIGLAR crib with date stamp 15342 to stop using it and to bring it back to any IKEA store for exchange or a full refund. IKEA Canada, in cooperation with Health Canada, has recalled the SNIGLAR crib with date stamp 15342. IKEA has received information from Health Canada that the SNIGLAR crib with date stamp 15342 has failed to meet a testing requirement. The requirement tests the strength of the slats when a specified force, unique to Canada, is applied to it. IKEA has received no reports of any related injuries or incidents. Our products are designed and tested to comply with all applicable requirements in the countries where they are sold. Extensive process control is maintained during the production of the cribs and continuous tests by IKEA and third party institutes ensure compliance to our demanding quality and safety requirements. IKEA urges all Canadian customers that have a SNIGLAR crib with date stamp 15342 to stop using it and to bring it back to any IKEA store for exchange or a full refund. Proof of purchase (receipt) is not required. For more information, please contact IKEA toll-free, 1-800-661-9807. IKEA Canada in partnership with Health Canada, has announced that it will only sell chests of drawers that meet the voluntary North American ASTM standard requirements on free-standing stability. As part of this announcement, IKEA has also issued a recall for repair or refund on unattached chests of drawers that do not meet the free-standing stability requirements of the ASTM standard. While IKEA is making this commitment to the free-standing stability of its chests of drawers, it will continue to make wall attachment an integral part of the assembly of IKEA chests of drawers as it really is the single best preventative measure against furniture tip-overs. IKEA believes the best way to prevent furniture from tipping over is to secure it to the wall. That is why IKEA has provided tip-over restraints with many types of its furniture and makes it a required step in assembly instructions. To demonstrate the importance of securely anchoring furniture to the wall, IKEA Canada has issued a recall for repair or refund of those unattached chests of drawers in consumers’ homes that do not comply with the free-standing stability requirements of the North American ASTM standard and are above 60cm for children’s chests of drawers and above 75cm for adult chests of drawers. A list of affected chests of drawers can be found on IKEA’s website at ikea.ca/saferhomestogether. Customers who, for any reason, cannot secure their IKEA chests of drawers to the wall are now advised to bring them back to any IKEA location for a refund. Customers are entitled to a full refund for chests and dressers manufactured between January 2002 and June 2016. Chests of drawers manufactured prior to 2002 will be eligible for a partial store credit. For any customer that still wants to keep their IKEA chests of drawers, but who did not keep their tip-over restraint, a free wall anchoring kit can be picked up at any IKEA location or one can be delivered to their home by contacting the Customer Support Centre at 1-800-661-9807 or by visiting ikea.ca/saferhomestogether. Consumers are urged to immediately stop using and move any unanchored IKEA chest of drawers into storage where they cannot be accessed by children until the chests of drawers are properly anchored to the wall or returned to an IKEA location. If customers have securely anchored their IKEA chests of drawers to the wall then they are fine to use and no further action is required. In summer 2015, IKEA Canada launched the “Secure It” campaign to educate consumers on the best way to prevent tip-over accidents and to provide tools to help them achieve that. To-date, IKEA has handed out more than 45,000 free wall-anchoring kits to Canadians. This is in addition to the tip-over restraints that have been shipped with IKEA chests of drawers for years. The “Secure It” furniture tip-over prevention campaign is part of a larger “Safer Homes Together” initiative that focuses on educating customers about safety at home. As part of the program, IKEA Canada announced in October 2015 that it will only sell cordless window blinds and coverings, being the first Canadian retailer to take this voluntary action. IKEA Canada has initiated a recall of the PATRULL Safety Gates. IKEA has received customer reports that PATRULL safety gates have opened unexpectedly, causing injury. There have been no reports of injuries in Canada. At IKEA, the safety and security of everyone who comes into contact with our products is of the utmost importance. All our products are tested to applicable standards, despite this a third party investigation has shown that the locking mechanisms are not sufficiently reliable. PATRULL safety gate, PATRULL KLÄMMA and PATRULL FAST have been sold on all IKEA markets, though PATRULL KLÄMMA has not been sold in Canada since May 2015. Customers should return their PATRULL Safety Gates at the Returns & Exchange department at their local IKEA store or call IKEA Customer Service toll-free, 1-800-661-9807 for a full refund. Proof of purchase (receipt) is not required by IKEA for this recall. IKEA urges customers who have a LATTJO Bat cape to immediately stop using it and to bring it back to any IKEA store for a full refund. IKEA Canada has initiated a recall of the LATTJO Bat Cape. While no injuries that required medical treatment have been reported to IKEA worldwide, this is a precautionary recall due to three reports of children receiving minor scratches and marks from the cape as the cape got stuck and didn’t detach easily enough from the neck of the children. Customers should return their LATTJO Bat Capes at the Returns & Exchange department at their local IKEA store or call IKEA Customer Service toll-free, 1-800-661-9807 for a full refund. Proof of purchase (receipt) is not required by IKEA for this recall. GOTHEM floor and table lamps. NB: Not according to scale. IKEA is recalling all GOTHEM floor and table lamps due to the risk of electric shock, after some examples of damaged cables in the lamps have been found. Damaged cables can lead to the metal body of the lamp becoming electrically live and thereby being a safety hazard. The GOTHEM lamps can be returned to any IKEA store for a full refund. Proof of purchase (receipt) is not required. For more information, please visit www.ikea.ca or contact IKEA toll-free at 1-800-661-9807. IKEA urges customers who have LOCK and HYBY ceiling lamps to immediately remove them and bring them back to any IKEA store where they will receive a full refund. At IKEA, the safety and security of our customers is of utmost importance. All our products are tested to and comply with applicable testing standards and legislation. In spite of this, we have received reports that LOCK and HYBY ceiling lamp glass shades have fallen. In order to safeguard customers and avoid further incidents we are recalling the products for a full refund. The LOCK and HYBY ceiling lamps have been sold on all IKEA markets, LOCK since 2002 and HYBY since 2012. LOCK and HYBY ceiling lamps can be returned to any IKEA store for a full refund. Proof of purchase (receipt) is not required for a full refund. For more information, please visit www.ikea.ca or contact IKEA toll-free at 1-800-661-9807. IKEA Canada urges customers who have LATTJO drum stick sets to immediately stop using them and bring back to any IKEA store where they will receive a full refund. While there are no reports of injury to IKEA worldwide, this is a precautionary recall due to six reports from IKEA store co-workers that the rubber ball of the drum sticks can detach or be unscrewed. A loose rubber ball can attract smaller children and in worse case could lead to choking. At IKEA, the safety and security of everyone who comes into contact with our products is of the utmost importance. While the LATTJO drum sticks are tested and approved to applicable toy safety standards, after subsequent investigations we identified risks that the standards do not address. LATTJO drum sticks have been sold in all IKEA markets since November 1, 2015. Customers should return their LATTJO drum sticks at the Returns & Exchange department at their local IKEA store or call IKEA Customer Service toll-free, 1-800-661-9807 for a full refund. Proof of purchase (receipt) is not required by IKEA for this recall. A similar product not sold in Canada, the LATTJO tongue drum, which contains one drum stick similar to the ones identified above, is also being recalled by IKEA in the United States and in other IKEA markets. The risk is the same as identified above and no injuries have been reported. In the event that anyone in Canada has such product, it can be returned to any IKEA Canada store for a full refund, with no proof of purchase required. While there are no reports of injury in Canada, IKEA urges customers who have a PATRULL nightlight to immediately stop using the night light and bring it back to any IKEA store where they will receive a full refund. At IKEA, the safety and security of everyone who comes into contact with our product is of the utmost importance. IKEA has received one report from Austria where a child was playing with the light and tried to remove it from the socket when he got an electric shock and sustained visible wound on his hand. Whenever an IKEA product is involved in an incident we take immediate action. The product was immediately sales stopped. IKEA tested samples of more than 600 PATRULL nightlights and they all passed testing, however IKEA has decided to recall the lamp to avoid the risk of any further incidents. Proof of purchase (receipt) is not required for a full refund. For more information, please contact IKEA toll-free 1-800-661-9807. IKEA Canada is urging customers to inspect their MALM 3, 4 and 6-drawer chests and all other chests and dressers to ensure they are securely anchored to the wall. At IKEA, product safety is our top priority, which is why we are reminding customers to always follow assembly instructions and safety warnings carefully and to install any safety devices provided with our products. IKEA furniture is safe when assembled and installed according to assembly instructions. All IKEA chests of drawers contain tip-over restraints with assembly instructions in the flat package upon purchase. IKEA advises customers who have purchased a dresser from IKEA to install the anti-tip devices included in the packaging of the dresser. Any customer who did not keep their device can receive a wall anchoring kit free of charge by visiting the Secure It! Creating safer homes together webpage www.IKEA.ca/saferhomestogether or by contacting the Customer Support Centre at 1-800-661-9807 and IKEA will deliver one to their home. No further action is required if chests of drawers have already been securely anchored to the wall in accordance with the instructions originally provided with the product. We take our role as a responsible retailer very seriously and want to raise the awareness of the hazard of furniture tip-over and how to prevent tip over accidents in customers’ homes. Anchoring furniture to the wall is the best way to help prevent tip-over accidents. In co-operation with Health Canada, IKEA Canada has initiated a recall of the PATRULL KLÄMMA and the PATRULL SMIDIG pressure mounted safety gates. The safety gate is not suitable to be used at the top of stairs. IKEA has received reports where the friction between the wall and the pressure mounted safety gate has been insufficient to hold the gate in its intended position. In addition, the lower metal bar could constitute a tripping hazard. If the gate is mounted at the top of a staircase this poses a fall hazard and risk of injury. IKEA Canada has had 4 incidents reported. At IKEA the wellbeing of everyone who comes into contact with our products is of the utmost importance. IKEA warns customers that these models are not to be used at the top of a staircase and ask that concerned customers return them for a full refund. Customers should return their PATRULL KLÄMMA or PATRULL SMIDIG safety gate with date stamp 1510 (YYWW year-week) or prior, at the Returns & Exchange department at their local store or to call Customer Service toll free at 1-800-661-9807 for a full refund. Proof of purchase (receipt) is not required by IKEA for this recall. A permanent label is attached to the metal bar at the bottom of the safety gate containing product information. The date stamp year-week (YYWW) is also found on this label on the right hand side as indicated below. IKEA VYSSA and SULTAN crib mattresses are designed to be used with IKEA cribs to ensure a snug fit and safe sleeping environment for your baby. If you notice there is a gap greater than 3 cm between your VYSSA and SULTAN crib mattress and the crib, please contact IKEA Returns & Exchange department or call Customer Service toll free at 1-800-661-9807 for an exchange or refund. Let new mattresses air for 72 hours after unpacking. It takes 3-4 days for the mattress to assume its proper shape and volume. Remove all bedding, for example fitted sheets. Check any gap using a measuring tape. IKEA recalls PASTAÄLGAR FULLKORN, elk-shaped wholegrain pasta and PASTAÄLGAR, elk-shaped pasta due to non-declared soy content. IKEA wants to make customers aware that PASTAÄLGAR FULLKORN, elk-shaped wholegrain pasta and that PASTAÄLGAR, elk-shaped pasta, sold in the IKEA Swedish Food Market may contain soy which is not declared on the products. As precautionary measure, products with all date stamps are recalled. While there are no report of injury in Canada, IKEA urges customers who have a GUNGGUNG children’s swing to immediately remove the swing and bring it back to any IKEA store where they will receive a full refund. At IKEA, the safety and security of everyone who comes into contact with our product is of the utmost importance. IKEA has received reports of incidents showing that the suspension fittings on GUNGGUNG swing do not live up to IKEA quality requirements posing a risk of injury. GUNGGUNG children’s swing has been sold on all IKEA markets since 1st April 2014 at the earliest. IKEA sold 299 swings in Canada during July and August 2014. Please visit Exchange & Returns department at your local IKEA store to return the GUNGGUNG swing for a full refund. Proof of purchase (receipt) is not required for a full refund. IKEA is asking all customers that have an IKEA wall mounted children’s lamp to check that the lamp and cord is out of reach of children when in a crib or playpen and securely fastened to the wall. Loose lamp cords can present an entanglement hazard to infants and young children. Please contact the IKEA Returns & Exchange department or call Customer Service toll free at 1-800-661-9807 to receive a free-of-charge repair kit containing a warning label, safety instructions and self-adhesive fasteners for securing the lamp cord to the wall. IKEA reminds customers that accessible cords should always be kept out of reach of young children. IKEA asks customers who have a bed canopy from IKEA intended to be draped around children’s cribs/beds, bring it back to any IKEA store for a full refund. The affected bed canopies are: LEGENDARISK, MINNEN bed Canopy set, BARNSLIG BOLL, MINNEN BRODYR, HIMMEL, FABLER, TISSLA and KLÄMMIG. While there is no regulation in Canada against the sale of children’s canopies, IKEA has initiated the recall as a precaution. There have been no reports of injury; however, there have been reports of children being entangled in the canopy. The bed canopies have been sold on all IKEA markets, since 1996. IKEA Canada has not sold these products since 2008. For more information, please contact the Returns & Exchange department or visit www.IKEA.ca. IKEA asks customers who have a SNIGLAR junior bed to immediately check the date stamp on the label attached to the headboard of the bed. The affected date stamps (yyww), 1114-1318 are extended with date stamps 1049-1113. IKEA has received eight reports of breakage of the metal rod connecting the guardrail to the bed frame. A broken rod could expose sharp metal edges, presenting a laceration hazard. One incident with a minor scratch injury caused by breakage of the metal rod has been reported in Canada. Customers with an affected product are asked to visit their local IKEA store, Returns and Exchanges department to receive a free repair kit. Customers can also contact IKEA toll-free at 1-800-661-9807 at their earliest opportunity to receive a repair kit free of charge. IKEA apologizes for the inconvenience. IKEA urges all customers that have a SMILA wall mounted lamp to check immediately that the lamp and cord are out of reach of children when in a crib or playpen and securely fastened to the wall. Loose lamp cords can present a strangulation hazard to infants and young children. Customers are asked to contact the Returns & Exchange department at any IKEA in Canada or call Customer Service toll-free at 1-800-661-9807 to receive free of charge, a repair kit containing a warning label, safety instructions and self-adhesive fasteners for fixing the lamp cord to the wall. IKEA asks customers who have a KRITTER or SNIGLAR junior bed to immediately check the date stamp on the label attached to either the headboard or the underside of the bed. While there have been no reports of injury, IKEA has received seven reports of breakage of the metal rod connecting the guardrail to the bed frame. A broken rod could expose sharp metal edges, presenting a laceration hazard. Only KRITTER junior beds with date stamp (YYWW) from 1114 to 1322 and SNIGLAR junior beds with date stamp from 1114 to 1318 are affected. At IKEA, the safety and security of everyone who comes into contact with our product is a top priority. IKEA asks customers who have a LYDA jumbo cup to stop using the cup immediately and bring it back to any IKEA store for a full refund. The cups can break when hot liquid is poured into them, creating a potential burn hazard. While there have been no incidents reported in Canada, IKEA has received twenty reports of cups breaking in use, including ten reports of injury. The affected cups were sold between August 2012 and April 2013. No other IKEA cups are affected by this recall. For more information, please contact IKEA toll-free 1-800-661-9807. The safety and security of our customers and co-workers is top priority for IKEA Canada. IKEA has learned of a fraudulent mail scam whereby recipients are notified they have won $100,000 in a lottery and are asked contact the company to arrange payment. On the envelope is a return address of 1311-102 St. NW, which is the location of our IKEA Edmonton store. IKEA Canada continues to monitor the media reports related to meatballs and hot dogs. Our customers’ confidence in our products is of the utmost importance to IKEA. The meatballs sold in Canada are produced in the USA and our hot dogs are produced in Canada. This situation is isolated to one supplier in Sweden and does not affect meatballs or hot dogs sold at IKEA Canada. There is currently an IKEA Group sales stop on almond cake with chocolate and butterscotch in 23 countries. IKEA Canada has not been impacted by this sales stop. There were two impacted production batches and neither one was shipped to Canada. IKEA is committed to serving and selling high quality food that is safe, healthy and produced with care for the environment and the people who produce it. We would like to make you aware that there is currently an increase in spoof or phishing emails which claim to be from Citi, the company that manages private label credit cards including the IKEA Credit Card. These are being sent to a broad range of individuals including Citi cardholders. A large volume of spoof email is currently being sent from citicards@info.citibank.com with subject of “Your Citi Credit Card statement is ready to view online”. Citi is actively taking steps to address each phishing or spoof email campaign including shutting down domain names from which spoof or phishing emails originate. IKEA Canada is warning its customers these emails are fraudulent and are not authorized by IKEA or Citi. IKEA Canada is asking anyone who might have received these email scams to ignore the requests and ensure that they do not provide any confidential or private information to the senders. Inter IKEA Systems B.V., the worldwide IKEA Franchisor, regrets what has happened in Saudi Arabia and understands that customers are upset by our actions. While this decision was made by Inter IKEA Systems B.V and not the Canadian retail organization, we would like to take this opportunity to let you know that IKEA is values-based company: we support the fundamental human rights of all people and we do not accept any kind of discrimination. We encourage fair treatment and equal employment opportunities without regard to race, ethnicity, religion, gender, disability, age or sexual orientation. Inter IKEA Systems BV has committed to reviewing routines and working processes, to ensure that this will not happen again. IKEA voluntarily recalls IKEA 365+ SÄNDA 70cm and 114cm track. IKEA asks customers who have an IKEA 365+ SÄNDA track 70 and/or 114 from supplier 21338, date stamp 1134–1208 (YYWW), please stop using the track immediately and bring it back to any IKEA store to receive a replacement unit or a full refund. Important! For your safety disconnect the power connection before dismantling the track. While IKEA has received no reports of any incidents, the recall is being conducted due to a defective earth connection in the track which could present a risk of electric shock upon contact with the track or connected lamps. The affected tracks were sold between September 2011 and March 2012. For more information, please visit the Returns & Exchange department, www.ikea.ca or call 1-800-661-9807. IKEA voluntarily recalls belt for the ANTILOP children's high chair. Safety is always a top priority at IKEA and we ask customers who have an ANTILOP high chair from supplier #17389 with production date 0607-0911 (YYMM), to immediately contact IKEA at 1-800-661-9807. While there have been no reports in Canada, IKEA has received reports globally that the high chair belt can open unexpectedly in use, creating a fall hazard. Customers with an ANTILOP high chair are asked to check the supplier number and production number moulded into the underside of the seat. This chair is from supplier 17389, made in July 2009, and is affected by the recall. If the supplier number is #17389 and the production date is in the range 0607-0911 (YYMM) please visit the Exchange & Returns department or contact IKEA at 1-800-661-9807 to receive a replacement belt, free of charge. No other high chairs are effected. Safety is a always a top priority at IKEA and we ask customers who have an PAX wardrobe with AURLAND mirror door to call 1-800-661-9807 to receive instructions on how receive a replacement mirror door free of charge. While there have been no reports of injury in Canada, IKEA has received fourteen reports showing that the large mirror can detach and fall, creating sharp shards when it breaks. One of the incidents resulted in a minor injury. PAX AURLAND mirror door is manufactured by supplier 12650 and the affected production weeks are 1039–1048 (YYWW). The product name PAX AURLAND and the production week and supplier number is printed on the rear of the mirror door, lower edge. IKEA voluntarily recalls BUSA children’s folding tent for potential risk of injury. The BUSA children’s tent has been sold on all IKEA markets since 1st of August 2011. IKEA is aware of three incidents where the wire frame has broken and protruted through the tent fabric. One of the incidents resulted on a minor injury. The steel wire frame of the tent can break in use. This can cause sharp wire ends to protrude through the tent fabric, creating a risk of a laceration or puncture injury to a child playing with the tent. IKEA asks that all customers who have a BUSA children’s folding tent immediately stop using the tent and return to it to any IKEA store for a full refund. For more information, contact IKEA toll-free at (800) 661-9807. IKEA Canada is asking customers who have a FÖRSTÅ coffee/tea maker to immediately stop using the product and bring it back to any IKEA store for a full refund. Pressure from the metal holder on the glass pot can potentially cause it to break unexpectedly, posing a burn hazard. IKEA has received two reports in Canada of the glass pot breaking, one where the customer received minor cuts and one with no injury. Eighteen additional reports of the glass pot breaking have been reported outside of Canada resulting in twelve reports of burn injures from spilt coffee/tea. FÖRSTÅ coffee/tea maker in the 1L size was sold at IKEA stores in Canada between February - December 2010. IKEA does not compromise on product safety and recommend all customers concerned to return the FÖRSTÅ coffee/tea maker for a full refund. IKEA has decided to make a voluntary and precautionary recall for repair of SNIGLAR crib 70x132. The four bolts provided with some SNIGLAR cribs to secure the mattress support are not long enough. This can cause the mattress support to detach and collapse, creating a risk of entrapment and suffocation to a child in the crib. IKEA has received no incident reports due to cribs being assembled with the short bolts and SNIGLAR crib 70x132 is in full compliance with all applicable safety standards. Please examine the underside of your SNIGLAR crib immediately and determine if the ends of the four bolts securing the bed base hardware extend through the nut. If the ends of the bolts do not extend through the nut, customers should stop using the crib immediately and contact IKEA toll-free at 1-800-661-9807 for a free repair kit, visit Returns and Exchange at an IKEA store to pickup a free repair kit or return to the crib to IKEA for a full refund. In the meantime, find an alternate, safe sleep environment for the child. IKEA is asking customers who have purchased the RUND glass mug to immediately stop using the mug and bring it back to any IKEA store for a full refund. There have been no reported cases of injury in Canada. Globally, IKEA has received twelve reports of RUND glass mugs that have broken in use. Five of the reports stated that minor injury had occurred. On receiving reports with glass breakage IKEA began an investigation, which revealed variations in glass thickness. As a precautionary measure IKEA has therefore decided to recall RUND glass mugs on all markets. At IKEA, the safety and security of our customers and co-workers is a top priority. Therefore, we recommend all customers concerned to return the RUND glass mug for a full refund. For more information, please contact IKEA toll-free (800) 661-9807. The safety and security of our customers and co-workers is top priority for IKEA Canada. IKEA Canada has learned of two separate fraudulent email scams. 1) The first email is called "IKEA Part Time Job Offer". Recipients are being solicited to earn extra money working as a consultant for a company called IKEA Limited. There is no such company called IKEA Limited. 2) The second email scam is asking recipients to be a Mystery Shopper for IKEA. IKEA Canada is warning its customers both of these emails are fraudulent and are not authorized by IKEA. IKEA Canada is asking anyone who might have received these email scams to ignore the requests and ensure that they do not provide any confidential or private information to the senders. The safety and security of our customers and co-workers is top priority for IKEA Canada. IKEA Canada has learned of a fraudulent mail scam whereby recipients are being sent a $2900 fake cheque for mystery shopper services at a number of retail outlets in the U.S. On the envelope is a return address of 15 Provost Dr, which is the location of our North York store. 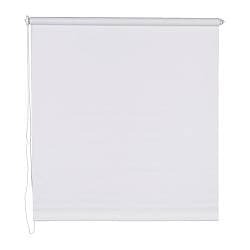 If you have an IKEA Roman blind, Roll-up blind, and Roller Blind without a pre-fitted tension device, please bring it back to your local IKEA store for a full refund. There have been no reported incidents in Canada. This is a proactive and precautionary measure IKEA Canada is taking. If installed incorrectly cords and looped bead chains could present a hazard to young children if placed around their neck. To reduce the risk of entanglement or strangulation always keep cords and looped bead chains out of reach of young children. Install safety devices and reduce the access to cords and bead chains. Move cots and furniture that children could climb on away from blinds and shades. 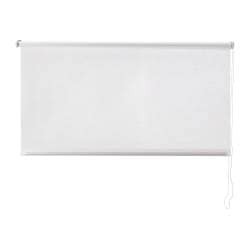 IKEA is asking customers who have purchased a MELINA roman blind or ENJE, ISDANS or TUPPLUR roller blind to check that the tension device provided with the blind is attached to the looped cord/bead chain and installed into the wall or floor. There have been no reports of injuries or incidents in Canada involving the MELINA roman blind or the ENJE, ISDANS and TUPPLUR roller blinds. The tension device reduces the risk of entanglement or strangulation to young children by limiting access to the looped cord/bead chain. If the tension device is not attached to the wall or floor, there is a potential risk that young children may pull the looped cord/bead chain around their neck. If the tension device is not attached, consumers should immediately stop using the blind and visit their local IKEA store to receive a free tension device. We apologize for any inconvenience. For additional information, call IKEA Canada toll-free at: (800) 661-9807, or visit www.IKEA.ca. IKEA is asking customers who have a LEOPARD children’s high chair to stop using the high chair immediately and bring the seat and frame back to the Returns and Exchange department at any IKEA store where they will receive a full refund. There have been no reports of injuries in Canada. Snap locks that secure the seat to the frame can break, making it possible for the seat to drop through the frame. Children can suffer injury to the head and other parts of the body from falls. The detached snap locks pose a choking hazard to children. We apologize for any inconvenience this may cause. For more information, please visit www.IKEA.ca or contact IKEA toll-free (800)661-9807. The safety and security of our customers and co-workers is of the utmost importance to IKEA. 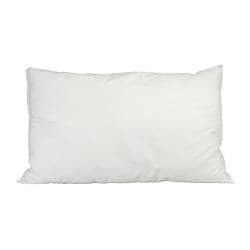 Three weeks ago, IKEA quickly pulled all stock of our LEN children’s pillow after being notified of an incident where a child became entangled in threads released from LEN children's pillow. While IKEA had not received any reports from customers, IKEA launched a thorough investigation into the cause of the incident. IKEA has completed the investigation. Results indicate that this was an unfortunate and isolated situation and the LEN children’s pillow is safe for use and sale. Tests were conducted by both IKEA of Sweden and the supplier. IKEA believes no further action or recall is required. IKEA wishes to reassure its customers that that the product is safe to use. There is a feature on the pillow called an “over lock stitch” that prevents the threads from unraveling more than 10cm and posing any potential danger to a child. In the recent weeks a website named Skill2thrill.com has been advertising a $500 IKEA Gift Card prize. This website is a mobile phone entertainment service to play games for a chance to win prizes. • IKEA has discovered that a malicious e-mail is circulating encouraging users to install an attached new IKEA home planner software. The e-mail and attached software is not from IKEA and it includes a malicious Trojan software which is installed once the attachment is opened. Safety and security issues are prioritised issues at IKEA and we would like to apologize for any inconvenience caused by this e-mail. We ask all receivers to delete the e-mail immediately. • In recent weeks fraudulent emails*, in English, are spreading around the Internet supposedly mailed by the Stitching INGKA Foundation. Please take note that these emails are fake and have nothing to do with Stichting INGKA foundation or IKEA. IKEA strongly recommends that respondents do not answer the emails as they are requesting money. The catalogue and website have been prepared by IKEA. Sources of supply and specifications are subject to change. Every reasonable effort will be made to ensure that all advertised merchandise is available in adequate supply. A high standard of accuracy has been sought in the preparation of the catalogue and website. Errors and omissions are always a possibility. Although IKEA cannot be held responsible, upon the discovery of any errors or omissions, all reasonable steps will be taken to inform IKEA customers. Offers, events, hours, and more.